Keratoconus is a condition that causes the round cornea of the eye to change shape over time. The tiny fibres of protein in the eye (called collagen) that normally support the cornea become weak with the onset of keratoconus. This eventually causes the cornea to lose its natural dome-like shape and become cone-shaped. It can cause a number of changes to eyesight, including blurring of vision, bright lights appearing to be streaked, and glare and halos appearing at night. Keratoconus is a progressive condition that affects approximately 1 in 500 people. It is an inherited and degenerative disorder, and is usually first diagnosed in the teenage or early adult years. Rigid contact lenses and intracorneal ring segments have helped correct prescriptive error, but they don’t prevent further progression of keratoconus. Until now, about 10–15% of patients have eventually required a corneal transplant. What is collagen cross-linking and how does it work? Collagen cross-linking is a quite recent medical procedure that employs the use of ultra-violet (UV) light and drops to help slow the progress of the condition. Under topical anaesthesia, the superficial layer of the cornea is loosened and the riboflavin drops (vitamin B2) are ‘dripped’ onto it for 30 minutes. The cornea is then exposed to UV light for around 30 minutes. This light causes the riboflavin to fluoresce, which has the effect of strengthening the bonds between the collagen molecules – stiffening the collagen fibres, ultimately strengthening the cornea. Collagen cross-linking isn’t a cure for keratoconus, however, it is able to halt further progression of the condition. Most importantly, it can help slow visual deterioration and prevent the need for a corneal transplant. This treatment changes the intrinsic biomechanical properties of the cornea and has been shown to strengthen the cornea by around 300%. 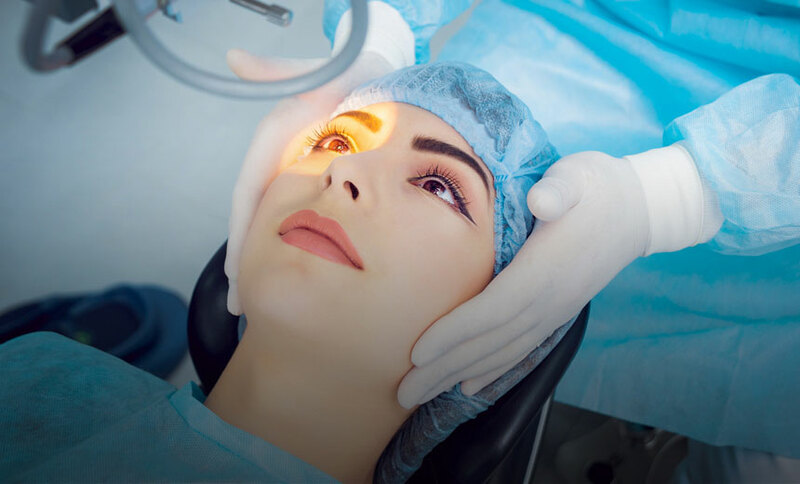 While the procedure is comparatively recent, research to date indicates that it is very effective in both slowing disease progression and improving vision. The results over periods of 3 and 5 years of a Dresden clinical study have indicated that in the case of 60 eyes researched, the progression of keratoconus had been stopped in all cases. In 31 of the eyes, there was a reversal and flattening of the cornea and visual acuity was improved. Similar success was found in a later study in which 281 eyes were observed for up to 6 years following the procedure. Only 2 of the patients showed signs of any further progression of the disorder, and they both responded successfully to re-treatment. So, it appears that many people who may have faced the serious option of undergoing a corneal transplant as a result of keratoconus may now have new hope that this can be avoided. Equally, they may be able to retain a much higher standard of visual quality for a much longer period of time. Collagen cross-linking may not be effective in halting progression in cases where the cornea is too thin (less than 350 microns). In such cases, alternative treatments might be considered, including lamellar keratoplasty. Naturally, there will be continued research into the success of corneal cross-linking, but it is fair to say that anyone who has keratoconus will be heartened by the potential of this latest, advanced treatment for the condition, especially if it can prevent the need for a corneal transplant.